Apricot Alfred is a very hardy and successful fruit which is very dependable in the UK climate. It produces medium to small fruit with extremely good flavour which can be harvested from late July to early August. This particular apricot has a wonderful orange skin with a red flush surrounding the outside. Perfect when picked off the tree. Apricot Early Moorpark is a traditional variety which is highly recommended for the south of the UK. The apricot can be grown as a standard trees, espalier or as a fan. A relative new variety with extra large and very juicy flavoured fruits. Bred in UK so suited to our climate. 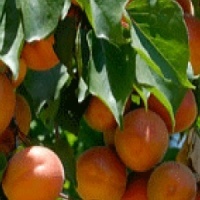 Apricot Goldcot produces good crops of medium to large stone free fruit with a golden to yellow skin. Self Fertile. Recently introduced from the U.S.A it's an excellent apricot for the British climate. A unique and hardy variety, found growing in the Malvern Hills. The Apricot Isabella was found in Gloucestershire quite by chance, the apricot was growing very successfully as a large bush producing fruit quite happily. Self Fertile. Early August harvest. 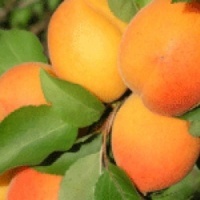 Apricot Tomcot is a relatively new variety which has been available since 2002. The Apricot Tomcot originated from France, this variety of apricot is far more reliable that others producing very large fruit with strong red and orange blushes. The Apricot Tomcot has and intense sweet and juicy flavour.